Rent Horizons Conference Center | Corporate Events | Wedding Locations, Event Spaces and Party Venues. HORIZONS is an award winning, full service Conference Center offering the perfect blend of convenience and service with grace and luxury. HORIZONS boasts many room options to host your upcoming wedding ceremony and reception, accommodating any size event. 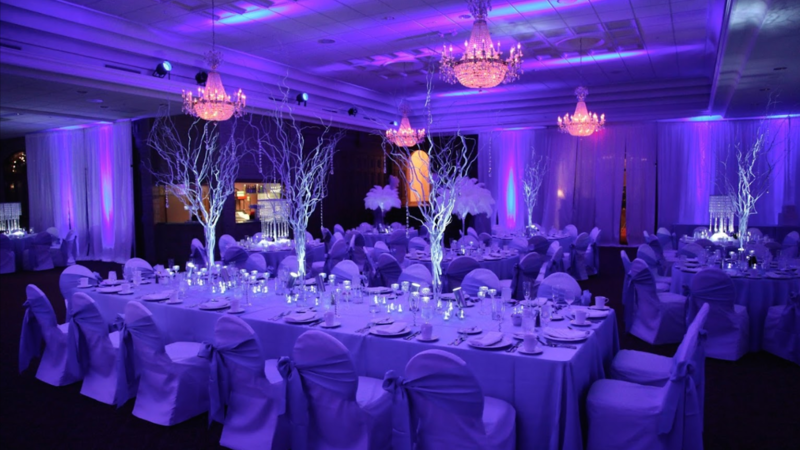 HORIZONS is proud to offer floral design, invitations, specialty lighting, unique accents, ice sculptures, table linen, chair covers and sashes, napkins, props, backdrops and our unique King & Queen table. With over 40,000 square feet of meeting space, HORIZONS is the ideal location for all of your special event needs, including conferences, trade shows, executive meetings, training sessions with break-out rooms, team building activities and awards banquets. Gourmet food and specialty beverages keep HORIZONS at the forefront of the Meetings and Events Industry. HORIZONS boasts many room options to host your upcoming wedding ceremony and reception, accommodating any size event. Our magnificent ballrooms offer elegant and inviting spaces with maximum flexibility, coordinated to fit the numbers and needs of your group, while maintaining a captivating atmosphere.